OceanWise has successfully delivered its web mapping service to the global shipping and logistics company Elane Inc.
Based in China, Elane Inc provides data and software services, including real-time dynamic global vessel tracking, to shipping companies, ports, logistics and other industries. 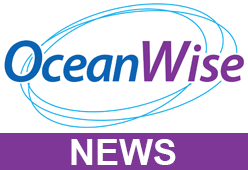 OceanWise has licensed its web mapping service to support Elane’s range of products and services, some of which require contextual background mapping. The service allows fast and easy access to marine mapping which retains the familiar ‘look and feel’ of standard nautical charts but includes layers which can be switched on and off giving the user the flexibility and control to manipulate the display. As the service provides vector data, the user is guaranteed high quality images, regardless of the display scale selected. The OceanWise web mapping service has a proven track record (already being used by other global players such as Vattenfall) and can be used in all popular desk-top and web-based GIS systems and support all three popular coordinate reference systems: WGS84 (EPSG:4326); WGS84 / Pseudo-Mercator (EPSG:3857); WGS84 / World Mercator (EPSG:3395).